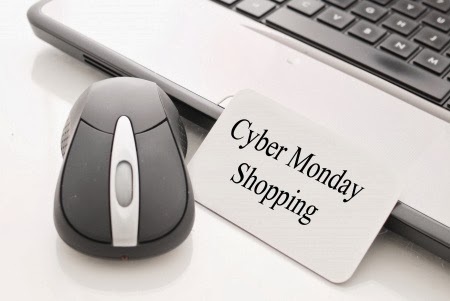 For The Love Of Perfume: Cyber Monday Deals! Ajne.com - 25% off with JOLLYAJNE thru 12/21. Sample set coupons; Sublime excluded. For 25% at http://www.ayalamoriel.com/ use promo code "thanksgivukkah" Free shipping for order over $200 in North America. Mention code in notes to sellers at checkout - refunds will be given by hand. Parfum1 is offering 21% off with code WONDERFULPT but have excluded many brands. LusciousCargo is giving 10% off almost everything. Use the word GIFT for orders over $50 for a cool gift and DECSHIP for free shipping on orders over $30. Codes may be stacked. Thefragranceshop.com has BOGOs and BTGOs through 12/2/13 at midnight. SageJewelry.com (Sage Machado) is offering 25% off everything with code Cyber25 Monday, 12/2, 2013 @ 8am - midnight EST. MyHabit.com is giving 20% off with code SHOPPING until 12/2/13 @ 11:59 PM PST. Thebodyshop-usa.com. is giving 30% off all pre-packaged gifts and sets and 50% off a regular priced item. Free ground shipping for orders over $30. Perfumania.com is giving 35% off today only with code CYBER35. May be stacked with code SAVE5 to save $5 off $50. Shipping is free. think I might never understand. It kind of feels too cimplex and vry vast for me.